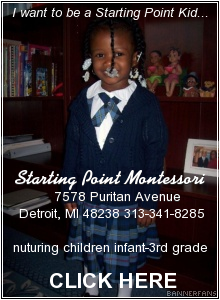 For the last two years, my son and I have attended the Shell Eco-Marathon Americas in Downtown Detroit. This event is an innovation challenge for future automotive engineers and scientists in high school and college to push the limits of energy efficiency. 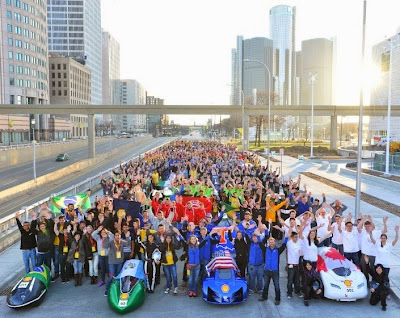 For the 3rd year in a row, the Shell Eco-marathon Americas will once again take place at Cobo Center, in the heart of Detroit this weekend, from April 27-30, 2017. 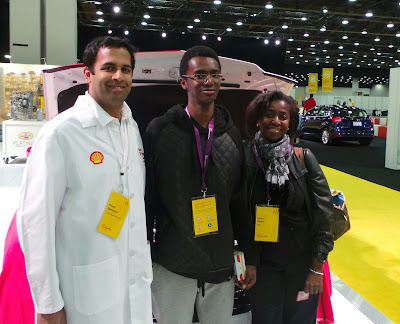 At the heart of the event will be the Shell Eco-marathon student mileage challenge where more than 100 teams from all over the Americas design and build the most fuel efficient vehicles that the best bright young minds can imagine. 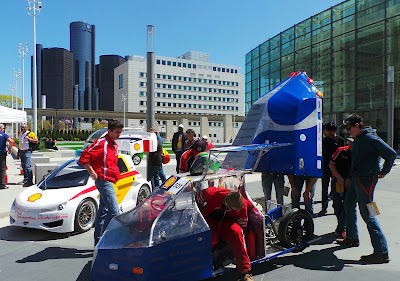 The teams then compete on a specially-designed track around Cobo Center to see just how far they can drive on the equivalent of one liter of fuel. In addition to the design competition, the Shell Eco-Marathon provides FREE family-friendly events open to everyone who wants to learn more about the role he/she plays in the future of our worlds energy! The Shell Eco-Marathon events will take you on an incredible and interactive journey into the future of energy and mobility. 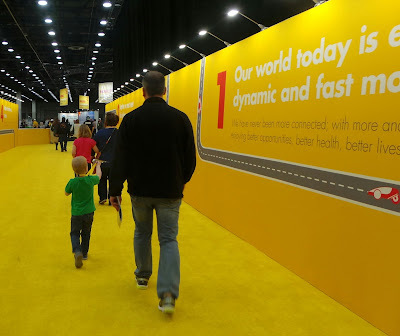 You can see cars of the future in action on the track outside of Cobo Center, learn how gravity, salt water and just stomping your feet can create energy and have conversations about the next bright energy idea. The events will take you on an incredible journey into the future of energy and mobility. At the fan zone you will be able be see new technologies, enjoy the energy adventure of tomorrow and have fun with live music shows! 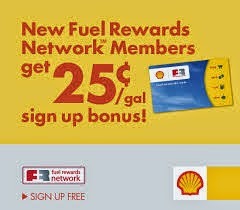 Parking will be free for the first 700 cars to come to Cobo rooftop and mention Shell Eco-marathon on both Saturday and Sunday.